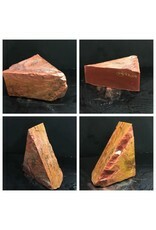 Pipestone (Catlinite) is the sacred red clay stone that American Indians use for making prayer and ceremonial pipes. It is found in only a few places in the world. The best quality pipestone comes from southwestern Minnesota. It ranges in color from pale pink to brick or blood red and normally has small lighter spots - referred to as "stars" - scattered throughout. Pipestone is smooth to the touch, can be easily carved and takes a high polish. 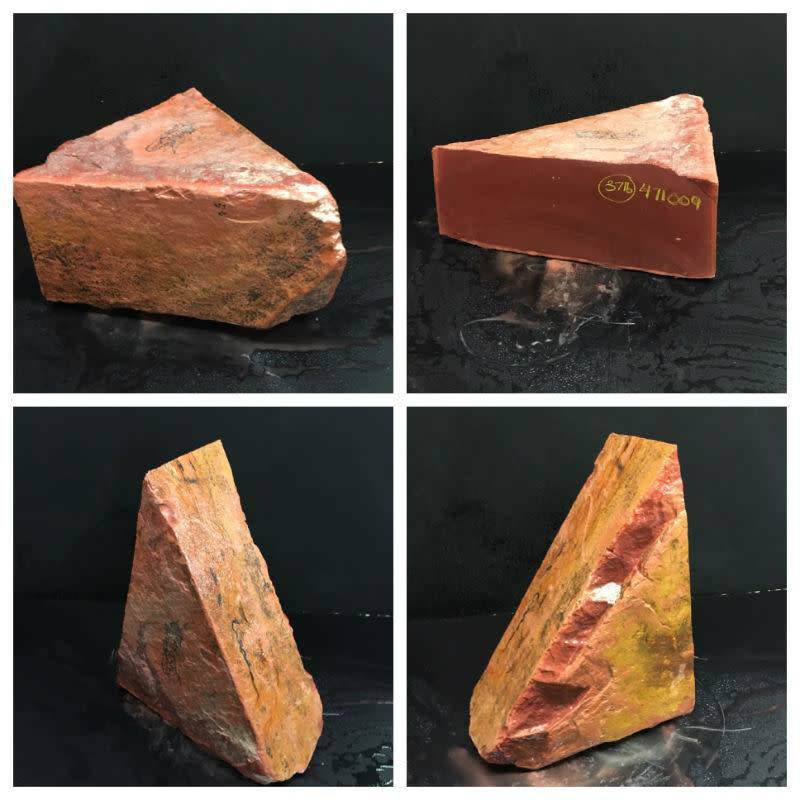 This triangular stone is 37lbs and 15.5x9x5.5.